Our mission is to build a pipeline through which quality products flow efficiently with the invaluable support of excellent and talented people working together in harmony. This pipeline system integrates investors, manufacturers, and customers into one entity, ensuring the utmost supply chain integrity so that all can benefit. We are deeply committed to the environment, sustainability efforts, and, perhaps most importantly, to being a positive influence on others, so that future generations can inherit a better world and be free to create. 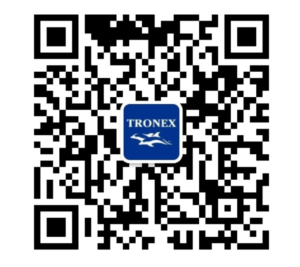 Tronex International, Inc., is a world-class corporation delivering superior healthcare product solutions on a global scale. With our comprehensive and constantly evolving line of Personal Protective Equipment, we strive to provide the finest quality products and the most trusted service at the best value in the market. Established in 1989 in New Jersey, USA, the company has grown exponentially by expertly meeting current industry needs and skillfully anticipating future demand. For example, when Tronex first opened its doors, we began by responding to the urgent need for superior-quality disposable protective products during the burgeoning AIDS crisis. Since that time, Tronex has steadily expanded its reach and emerged into new, major product categories. With more than a quarter-century of successful experience in managing an efficient global supply chain, Tronex offers a value-added competitive edge in the manufacturing and global logistics arenas. Our sophisticated, vertically integrated inventory and supply chain system enables us to plan specifically for each customer, leading the industry in fill rates, cost efficiencies, and superior supply dependability. Tronex delivers excellence built upon a progressive and adaptable business model merging diverse, customized product solutions with a passionate service and response culture. We thrive on a mission to be of service to mankind and the world we share. We are deeply grateful to our customers, manufacturers, investors, and colleagues—the collective partners in our endeavor—for sharing in Tronex’s dedicated efforts to contribute positively to the professional and personal betterment of all.